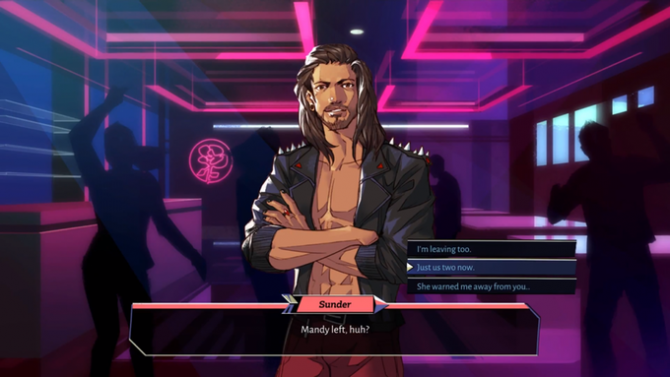 Hybrid dungeon crawler-dating simulator Boyfriend Dungeon felt realized in my PAX East demo, with no shortage of wit and flirty dialogue. Coming into Kitfox Games’ booth at PAX East, I thought I knew what dating sim/dungeon crawler Boyfriend Dungeon had to offer. Even so, and even as just a demo, to have the concept as a tangible thing was unexpectedly delightful to me. After a bit of hands-on time with a demo of the game, I felt a sense of joy from experiencing even just a taste of it. The biggest concern that anyone could have had for an unusual hybrid game is that its genres would have felt too disparate. After the demo, I had a good understanding of how the two styles of gameplay could interweave and affect each other. Boyfriend Dungeon is bright, original, and it put a smile on my face. As a bonus, all of the weapons in this game have personifications that are hot. For this demo, I chose one of three characters (the blue-haired one, obviously), while being promised that character creation would be more comprehensive in the final version. A text prompt asked me for what pronouns I wanted to use, a feature that I was aware of from an earlier interview for the game, but I still feel the need to express my appreciation for it. I was thrown onto a map, with the options of choosing between two different dates to go on or going straight to a dungeon level. I am no dating game aficionado, but there was something about the dating portion of the demo that got all of the gears turning in my head. It was roleplaying that I could relate to, that I could be invested in. I chose to go on a date with Valeria, a character that transforms into a dagger. 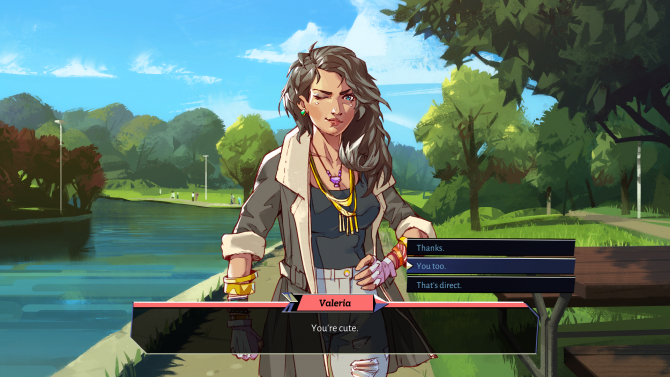 We met at a park, and as my character was a newbie in town, Valeria was a bit cautious in interacting with me, to the point that she had a friend standing yards away should anything go awry. Through dialogue options, I was seeking a balance between demonstrating my trustworthiness with some hints of flirtatiousness. My character laid on the charm to Valeria, and likewise, Boyfriend Dungeon laid on the charm to me. The dialogue and prose were easy to enjoy—maybe it won’t hit with all demographics and age groups in the gaming community, but it was a scene and language that I was personally used to. I never felt restrained by the dialogue options, and the prose itself had an informal and fun feel to it (i.e. when Valeria made finger quotes, the text box referred to them as “bunny ears”). It’s less objective and observational and a bit more omniscient with some personality. And it looks like my flirtation paid off because the game returned some bars and numbers indicating the increase of some sort of love rank. After a quick visit to my apartment, where I checked the menu (in the form of a cellphone), all that was left for the demo was a quick run through the “dunj.” It was time to take my date mates to the mall. 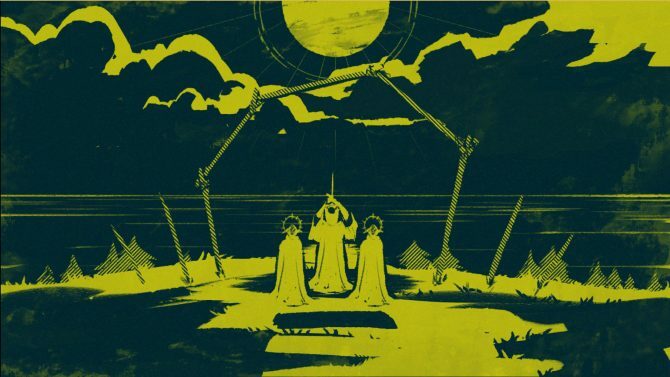 While the dungeon crawler was a genre that I was equally unfamiliar with, I never felt out of my element, and my time in this portion of the game felt quite intuitive. While I had no understanding of any story context for this mall, the building sure had seen some better times. This procedurally generated dungeon was abandoned and dilapidated, but luckily quite easy to navigate. Creepy crawlies and floating oddities surrounded each room, and I attempted to clear each one while being on the lookout for any loot. But just because the dungeon crawler began didn’t mean that the dating simulator had to end. Early on in the level, I encountered an ice cream stand. I was given the option to hang out with one of my Boyfriends, and seeing how I gave Valeria my attention, I decided to spend some time with Sunder, a club owner who is also a talwar sword. He stated that he didn’t really want ice cream on account of maintaining his rock-hard abs, but again, I went on the charm offensive that I just wanted the excuse to hang out with him. Later on, I found another hangout spot—massage chairs, which we found so relaxing that Sunder ended up taking a quick nap. But hey, there’s also combat in the dungeon! To the game’s credit, it was quite easy to jump into. Both Valera and Sunder have different combos, conveniently displayed on the top-left corner of the heads-up display. 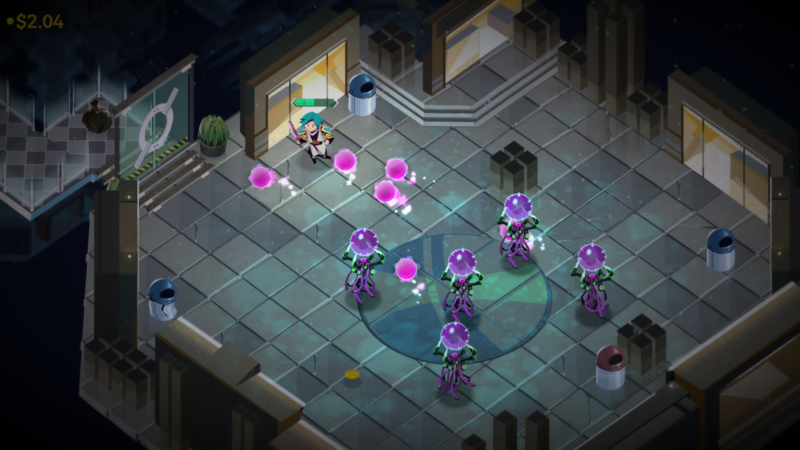 Pickups allowed me to manually heal or shoot fireballs, and I found out eventually the importance of conserving your resources—blame my inexperience with the genre, but things got pretty tough, with some close calls at the end of the demo. There are some questions I still had that likely won’t be fully addressed until we finally have the full game in our hands. I did express a bit of confusion in finding any sort of experience or “love rank” information on the game’s cellphone menu, so I remained curious about just how much the dating portions affect gameplay. 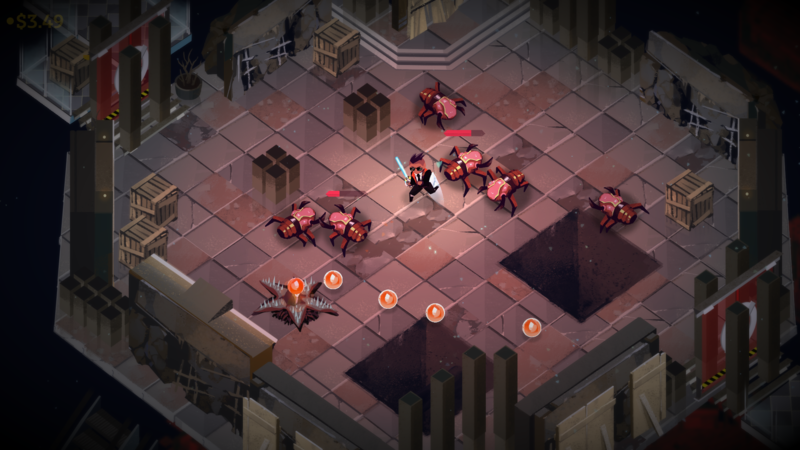 But as it stands, the demo largely impressed me, and I have a good feeling that Boyfriend Dungeon will justify this oddball combination of gameplay concepts. Also, did I mention that everyone in this game is cute? Boyfriend Dungeon releases on PC and Mac via Steam, with the release date yet to be announced. 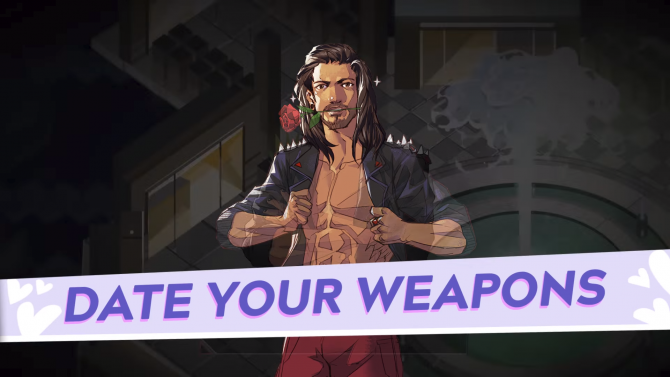 A brief teaser from the Kinda Funny Games Showcase showed off some new footage of Valeria, one of the many dateable weapons in Boyfriend Dungeon.